US rig count is down for the fourth consecutive week, according to Baker Hughes. KLFY.com photo. 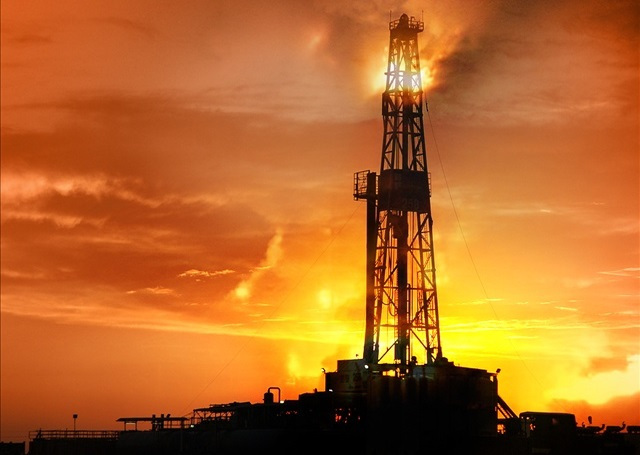 HOUSTON _ On Friday, Baker Hughes released its weekly rig count which showed the number of rigs searching for oil and gas in the United States as well as Canada had dropped. For the fourth consecutive week, the number of rigs in the US had dropped with 498 oil rigs operational and 121 gas rigs up and running. Last week, there were 510 oil rigs and 127 natural gas rigs working. Texas saw the biggest loss with 13 fewer than last week while New Mexico was down four rigs, Louisiana down by three rigs, Kansas, North Dakota and Pennsylvania all showed one fewer rig. Arkansas, California, Ohio, Utah, West Virginia and Wyoming all stayed even and Oklahoma gained one rig. Alaska and Colorado both were up by two rigs. This time last year there were 1223 oil rigs and 319 gas rigs searching for oil and gas in the United States. In Canada, the number of rigs dropped for the first time in four weeks. There were eight fewer oil rigs and 11 fewer gas rigs operational in Canada. At this time in 2015, there were 200 oil rigs and 194 gas rigs in Canada.